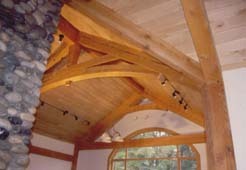 Timber framing combines the art of design and craftsmanship with the beauty of wood. A solid wood frame is assembled with traditional mortise and tenon joints and is typically left exposed to the interior of the home. Most of the timber frame houses I have been involved with have been crafted out of recycled timber salvaged from demolition projects. Aside from the obvious environmental benefits this wood is generally of high quality, dry (which eliminates the problem of twisting and shrinking) and adds a sense of history to a home. 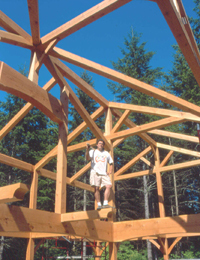 Timber framing is beautifulbut can add significantly to the costs of building a home. 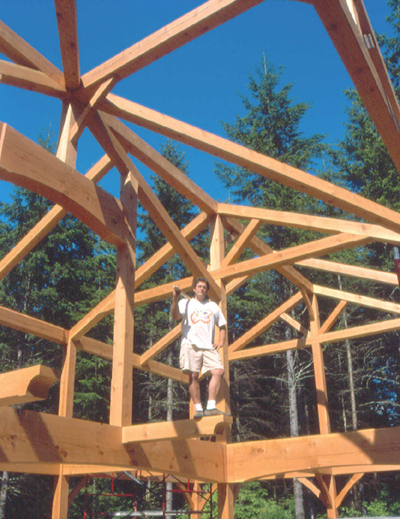 Sometimes it makes sense to create a hybrid frame where timbers are used only where they make sense structurally and aesthetically. 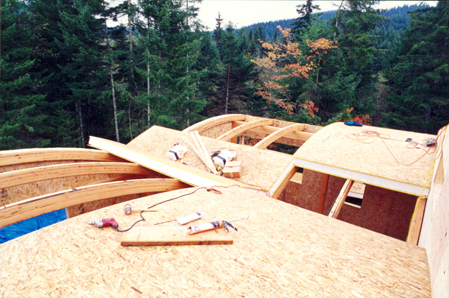 One of the best ways to enclose a timber frame home is with stressed skin panels, large EPS foam and plywood (osb) sandwich laminates. 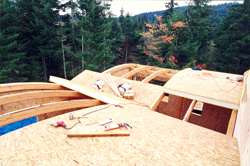 Assembly is quick, all window openings and roof cuts can be factory made and they are very energy efficient. They are extremely strong as wellin fact I have built entire houses out of stressed skin panels alone.